One of the most celebrated concert performances of recent years, a one-time only event witnessed by little more than one hundred lottery-selected Barbra Streisand fans, is now available for fans to own! 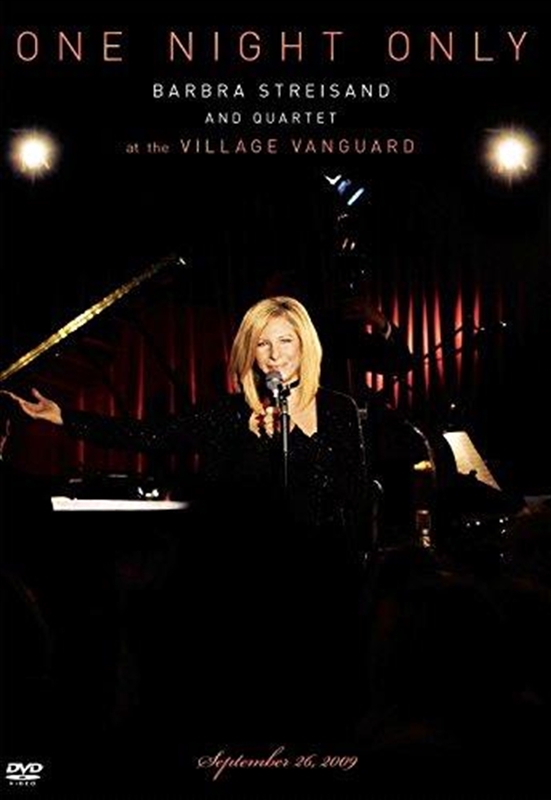 This DVD covers the entire experience of Barbra Streisand's first cabaret performance in 48 years, coinciding with the release of Love Is the Answer, the artist's album of jazz standards hearkening back to her musical roots in New York cabaret. The show was an intimate event attended by just over 100 people including ex presidents and celebrities. This concert disc immerses the home viewer in a tiny (legal capacity 123) West Village nightclub, to share an exclusive and intimate evening with the living legend that is Barbra Streisand!